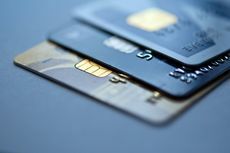 As of 26 March 2019 the credit cards under review have been offered by 15 banks. The average interest rate under such loans equals 19,91 % p.a. The total number of the programs available for the specified loan terms is 40.